The British government has suspended a multimillion-pound foreign aid project amid allegations that money paid to a contractor in Syria was reaching the pockets of jihadist groups. UK Government probe has actually found some of the £12million of aid cash destined to funding the -supposedly unarmed Free Syrian Police force had been diverted to extremists with links to the al-Nusra Front, an Al Qaeda branch. Officers from the Free Syrian Police were apparently also working with courts accused of torture and summary executions according to allegations made in a BBC Panorama documentary. 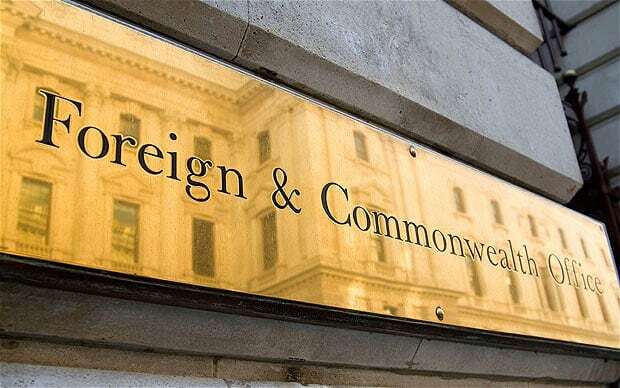 A government spokesman said that these allegations of cooperation with terrorist groups and of human rights abuses are taken seriously, adding that the Foreign Office has suspended this program. Written by: Peter Mulvany on December 5, 2017. Last revised by: Jaber Ali, our reviewer, on December 6, 2017. Posted by Peter Mulvany on Dec 5 2017. Filed under Headlines, World News. You can follow any responses to this entry through the RSS 2.0. Both comments and pings are currently closed.